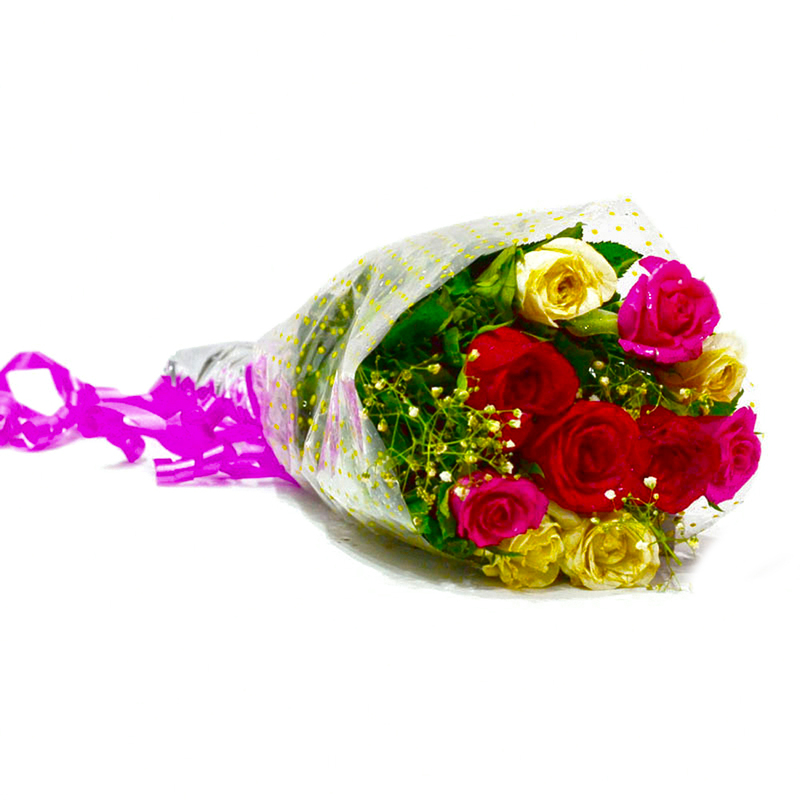 Product Consist : Bouquet of 10 Multi Color Roses with lots of green fillers. 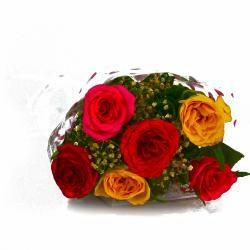 What better way to express your sentiments for your better half than a bunch of multi color roses. 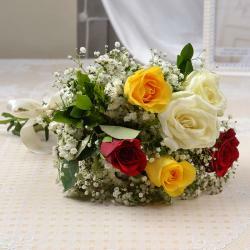 This bouquet consists of ten mix color roses are wrapped carefully in cellophane paper. They have been held together by a matching ribbon tied around as a bow. The flowers look pristine for their varied texture and sublime color. 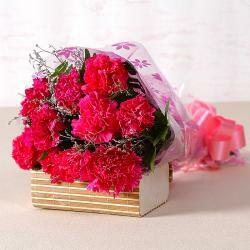 They can be sent as gifts on special occasions like Birthday, Anniversary, Sorry, Onam, Parents Day says and even house warming parties. 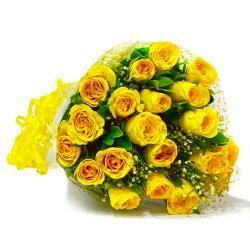 Product contains : Bouquet of 10 Multi Color Roses with lots of green fillers.